Rob and his wife Cheri met at the Sundance Film Festival in the Owl Room. Married four months later. Started Whitted Bowers Farm with the hopes of living a simple, healthy and peaceful life with our dear families and community. A farmer's take on communion. 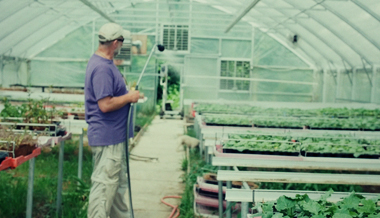 Farmer Rob Bowers on the perpetual opportunity for redemption. An abundant life is sustainable. A farmers take on worship.